Apartment + Dormitory type's newly built hostel. Cozy en suite rooms have washing machine, stove, fridge, air conditioner, free wifi and closet. Common living room is available for breakfast and In the living room, anybody who stays at hostel easily gets lots of information about Seoul tour and Korea. - It's some hostels exclusiveness. We have everything you may or may not need such as free wifi and internet acess, linen and towels, and the list just goes on. At our hostel, you can party all night on the Hongdae streets, bars, and clubs, then come back to your relaxing room to doze off till the moon rises again. We have an amazing team here that are fun, friendly, and enthusiastic about making your stay in Seoul unforgettable. From the Incheon International Airport, It takes 46 mins and costs 3,600 won. b. 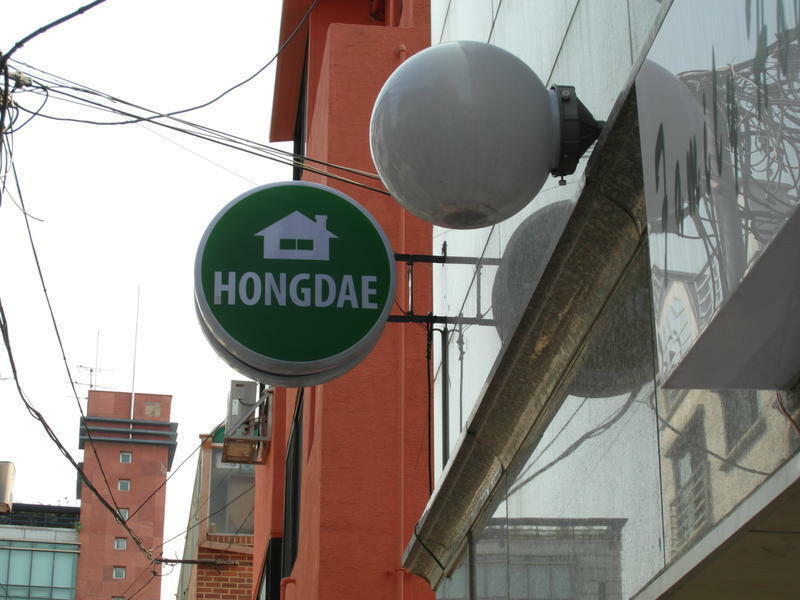 Make your trip to Hongik Univ. Station. d. Get off at the Hongik Univ. Bus Stop which is the 3rd stop from the airport. The bus ride takes about 40mins. e. After you get off the bus, cross the road towards Hyundai OilBank (Gas Station). 2. When facing Hyundai Oilbank(Gas Station), turn left then walk down the street. You will meet an intersection. 4. At the 'Family Mart' turn left. 6. Walk straight until you come to a GS25 convenient store. And turn left.